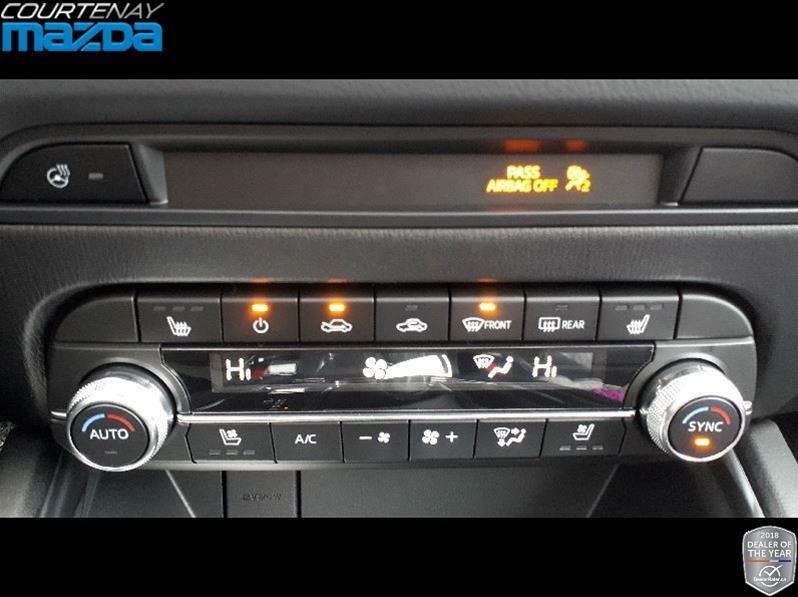 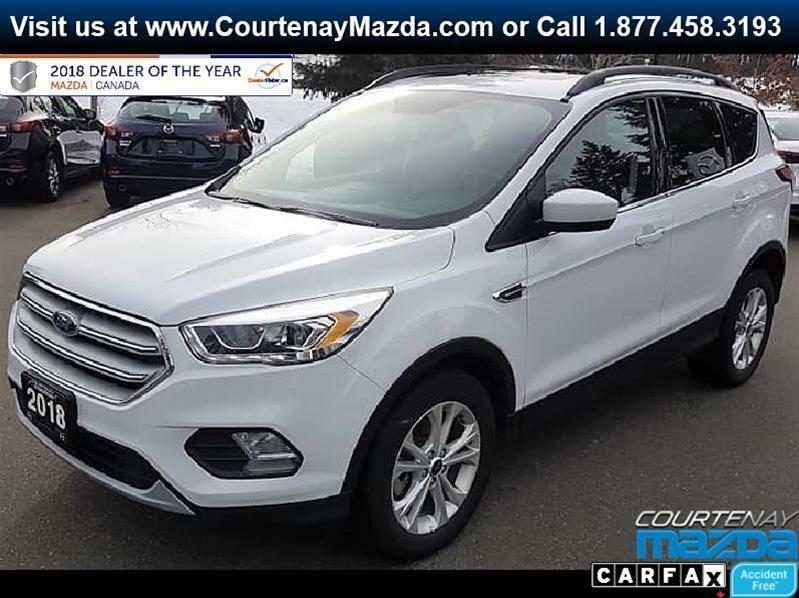 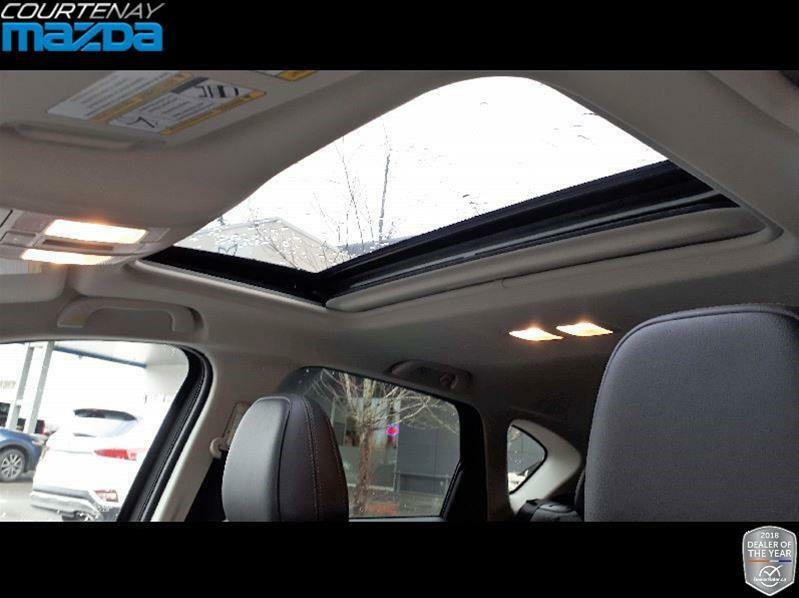 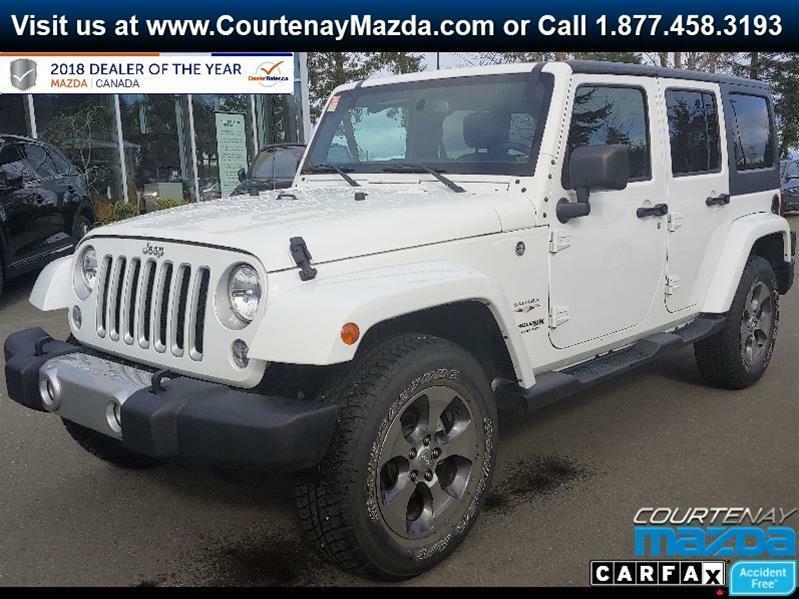 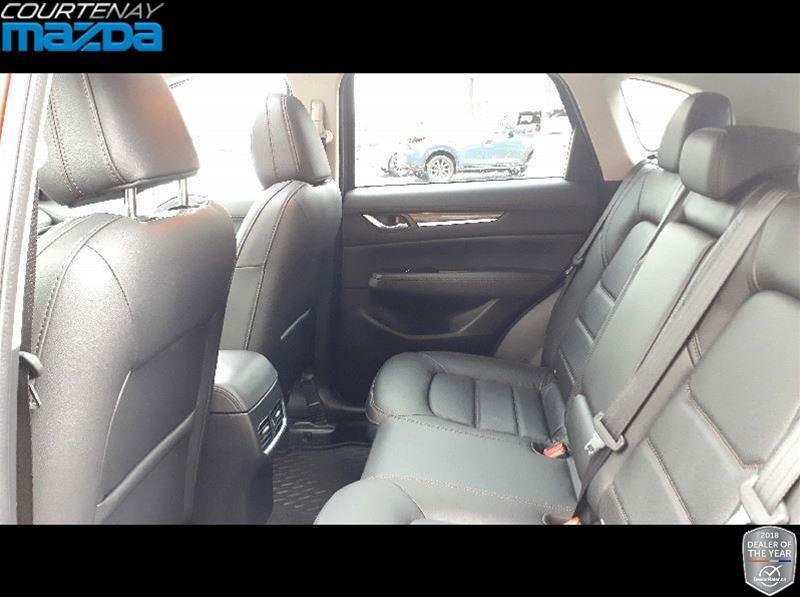 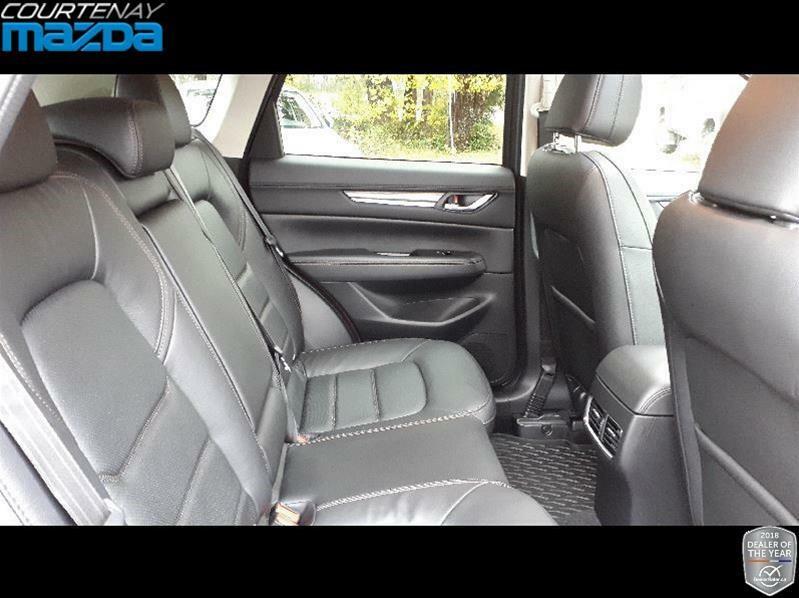 ***Manager Driven - Under 5000 KM's*** Turbo - Navigation - Blind Spot Monitoring - Rearview Camera - Power Moonroof - Dual Zone Climate Controls - Heated Front & Rear Seats - 7” Color Touchscreen Display - Bluetooth - Premium Bose Audio - and More! 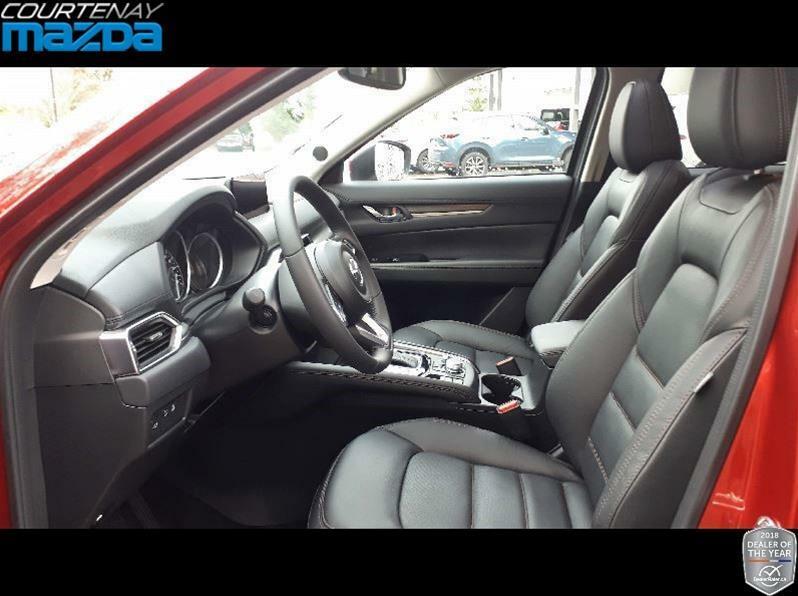 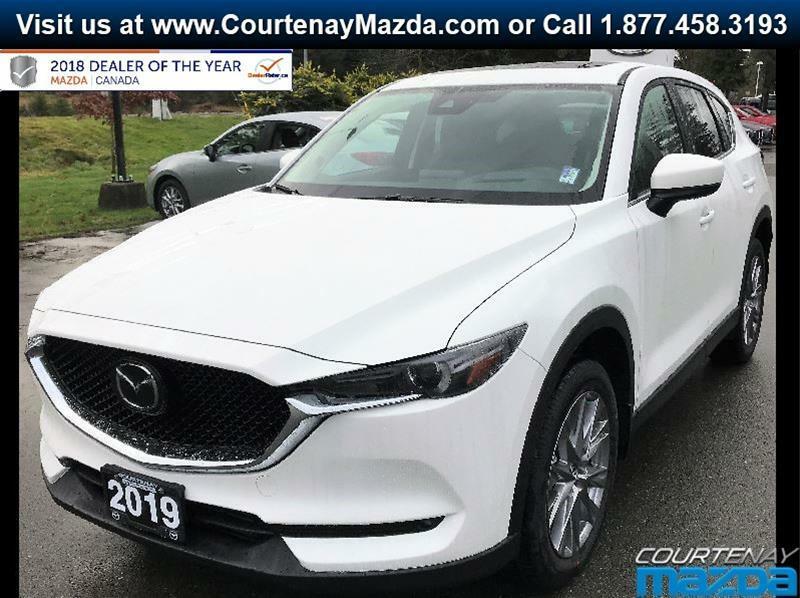 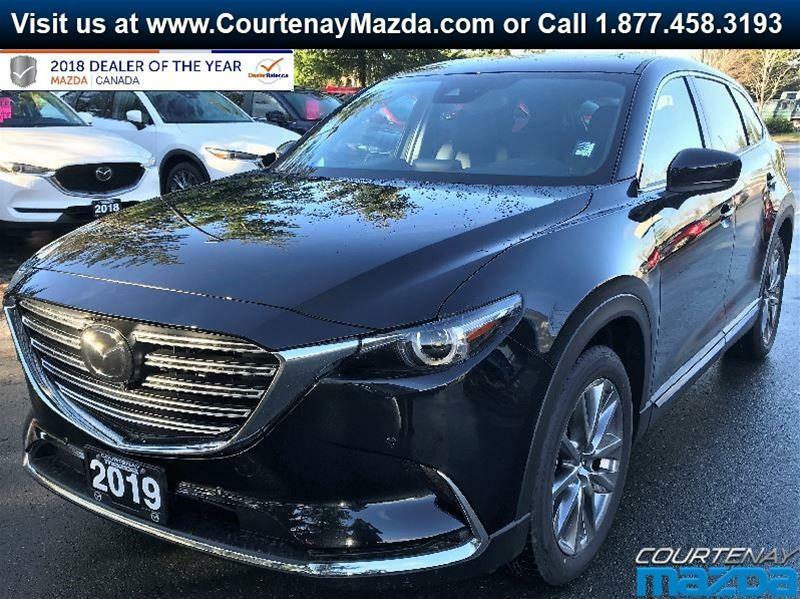 Versatile, exceptionally spacious, powerful, outstanding fuel economy and stylish design is what makes the 2019 CX-5 stand out as one of the best Crossover SUV’s on the road today. 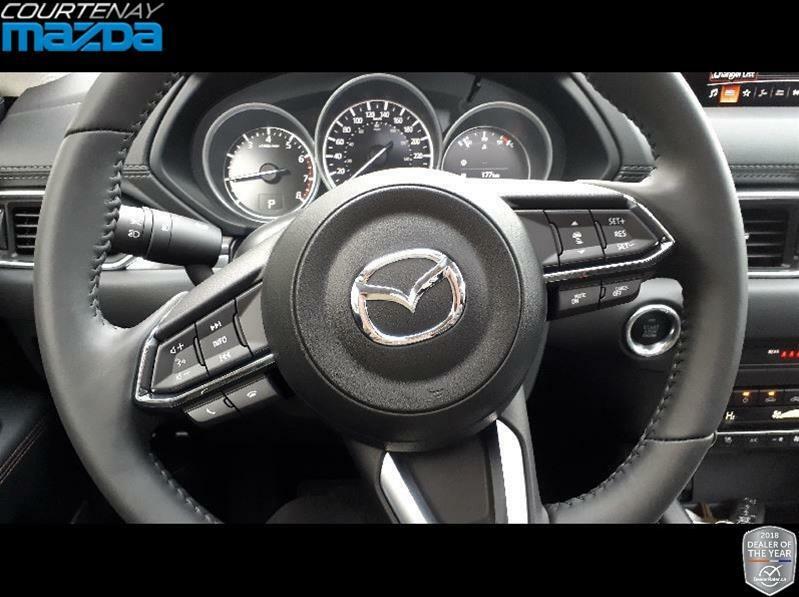 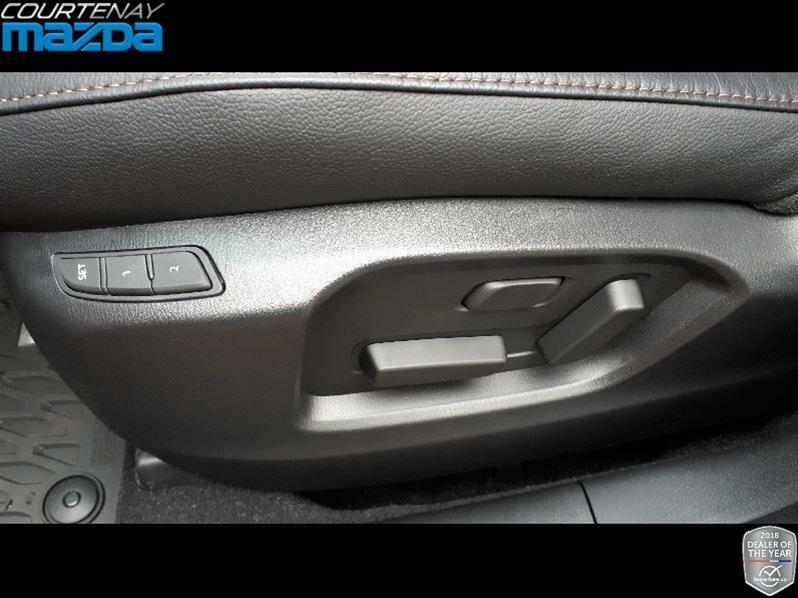 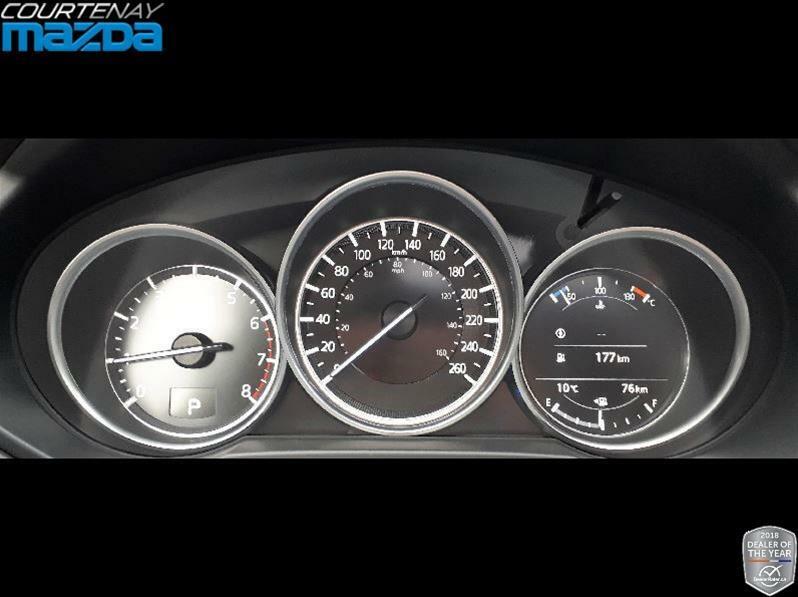 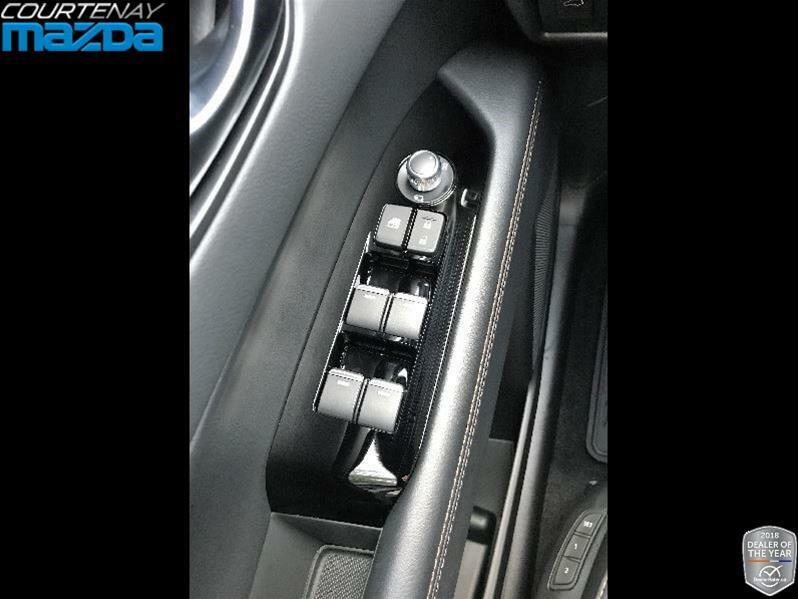 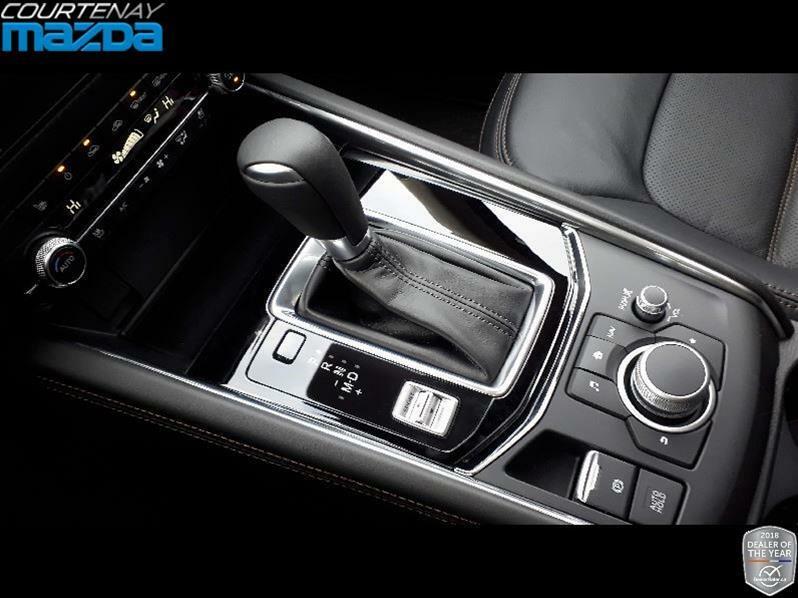 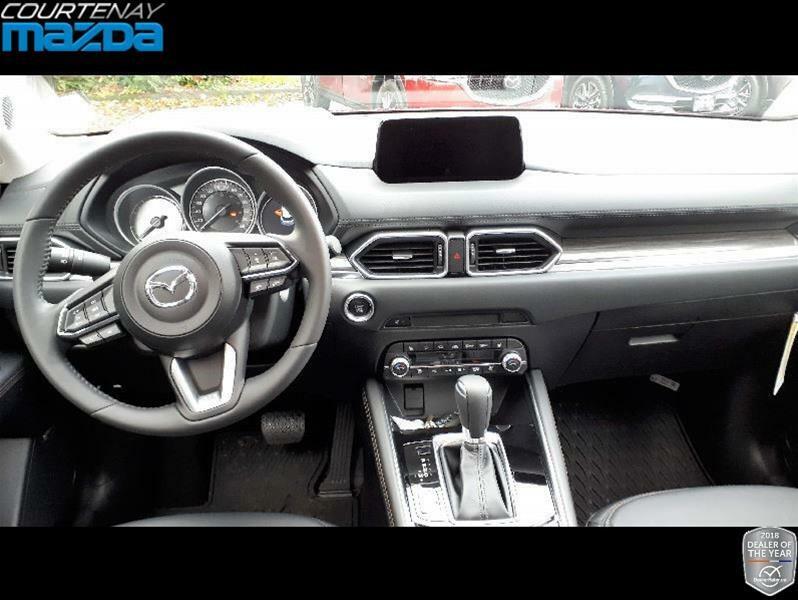 You will find great features like: 2.5 L, 4-cylinder engine w/ 6 speed sport mode automatic transmission & drive selection switch, traction control, heated mirrors w/ turn signal, 19” alloy wheels, adaptive front lighting system, steering wheel mounted controls, heated steering wheel, Active Driving Display, ventilated seats, memory driver’s seat, smart city brake support, rear cross traffic alert, G-Vectoring Control, Apple CarPlay, Android Auto, power liftgate and many more intuitive features. 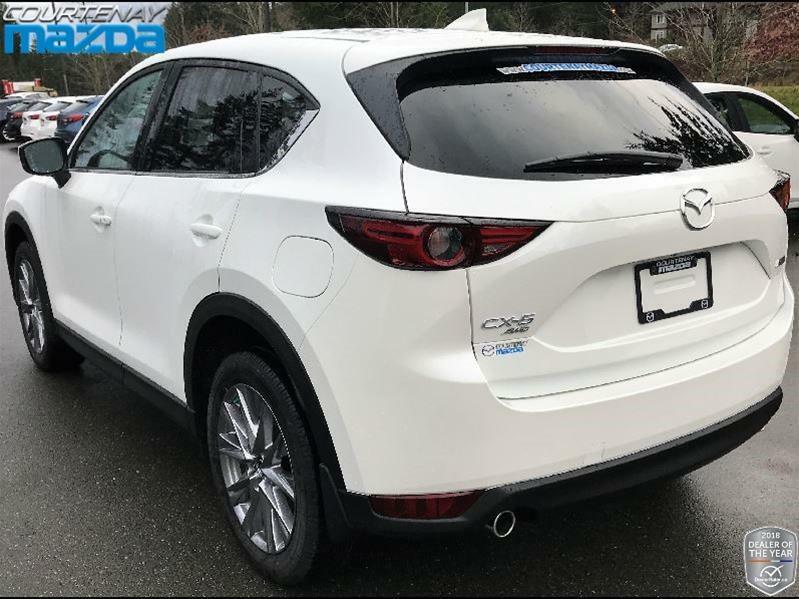 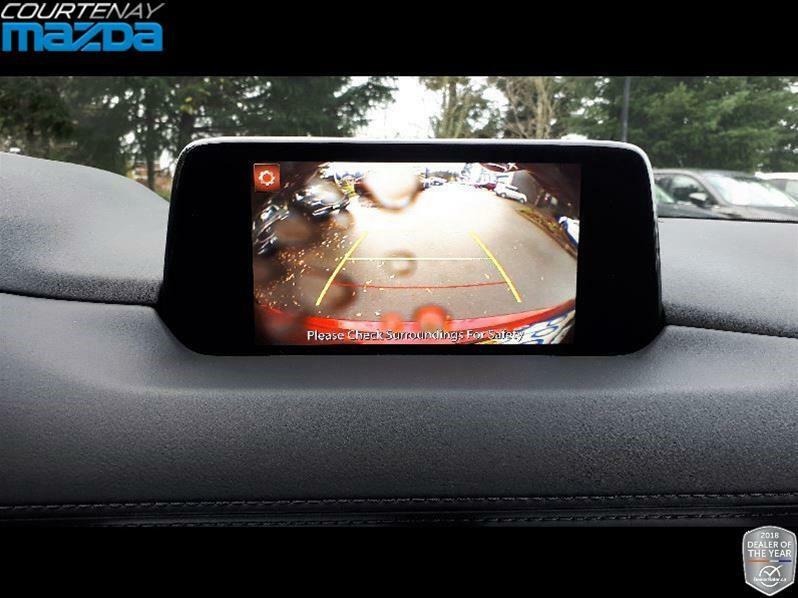 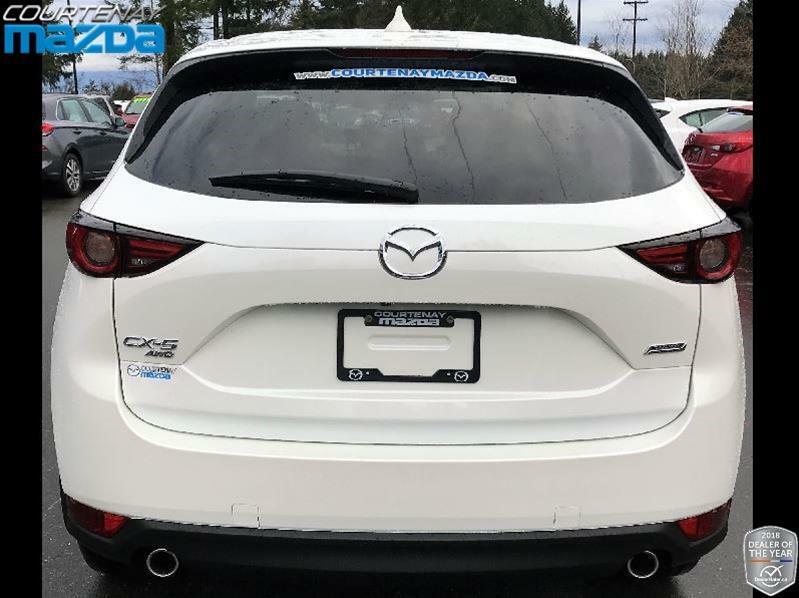 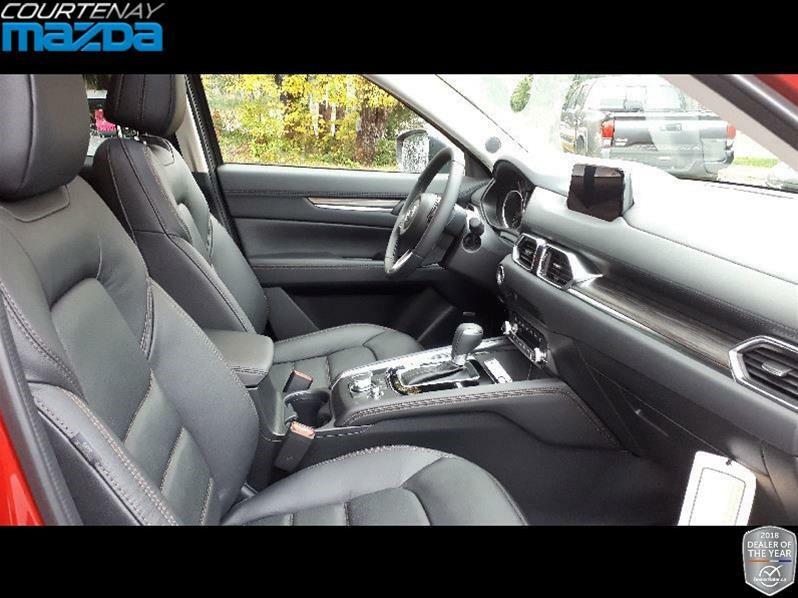 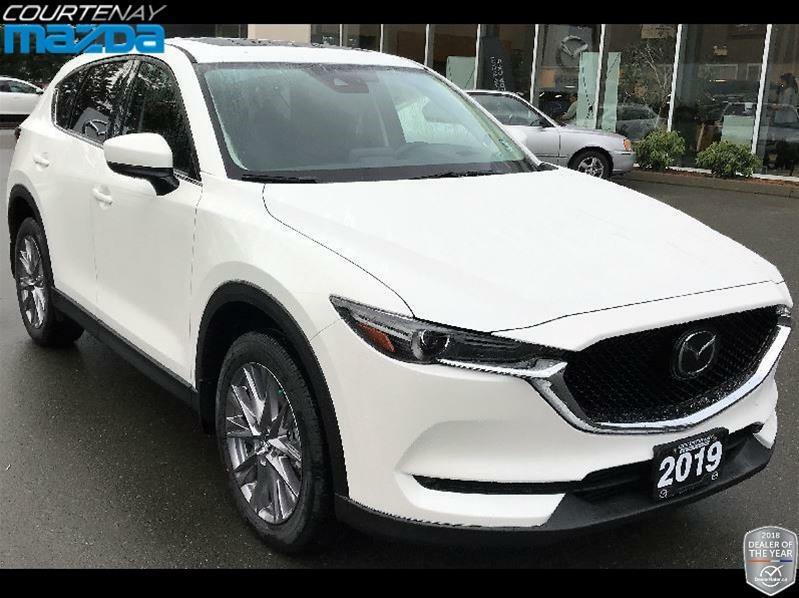 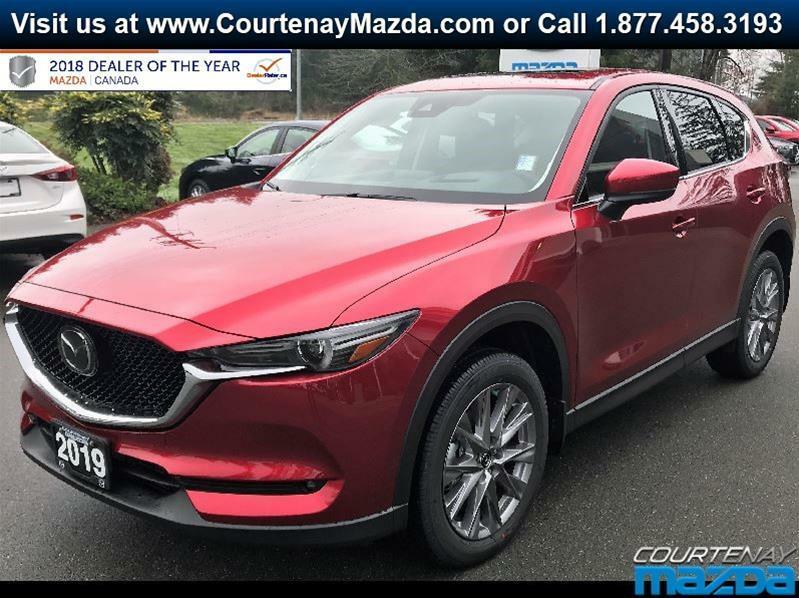 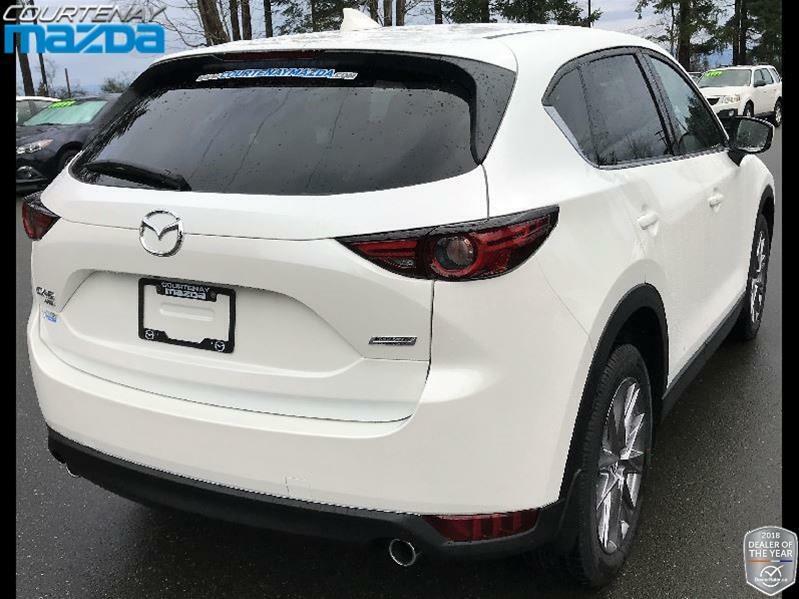 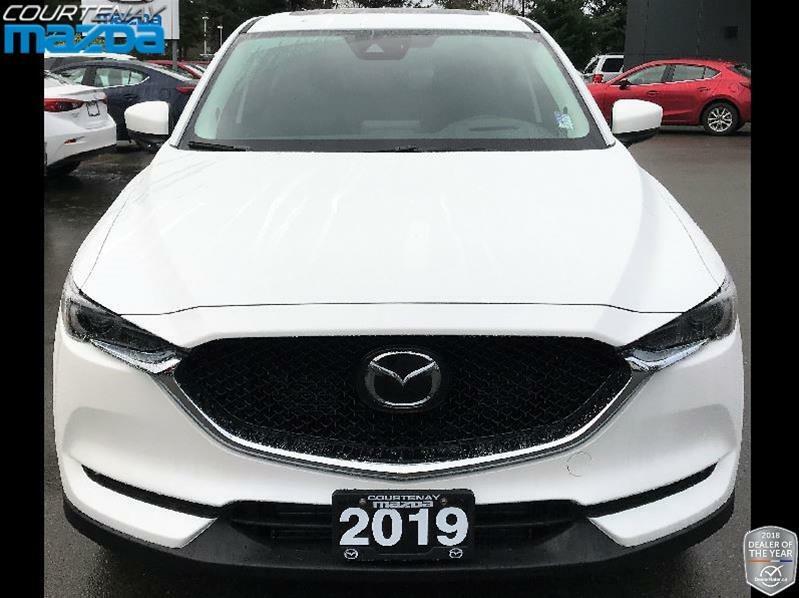 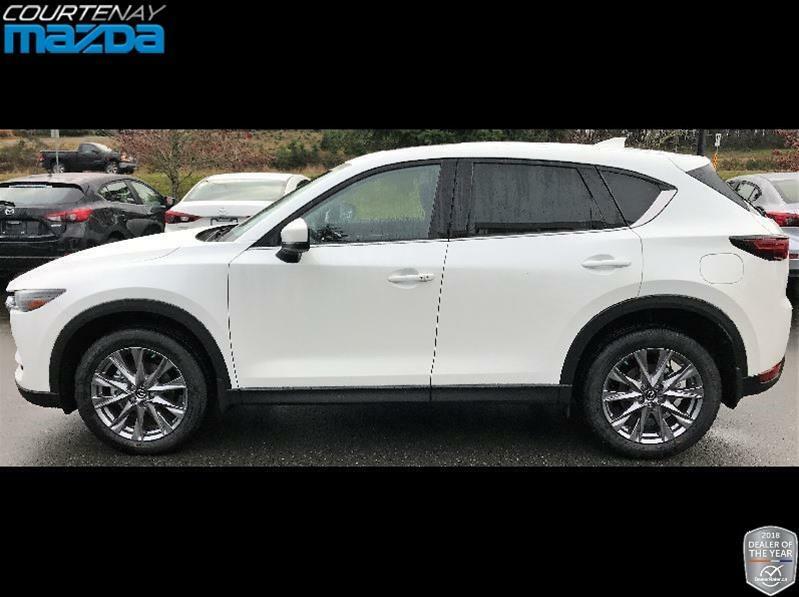 Don’t delay, come and see us at Courtenay Mazda to drive this wonderful Mazda CX-5 GT crossover with the latest Skyactiv technology today! 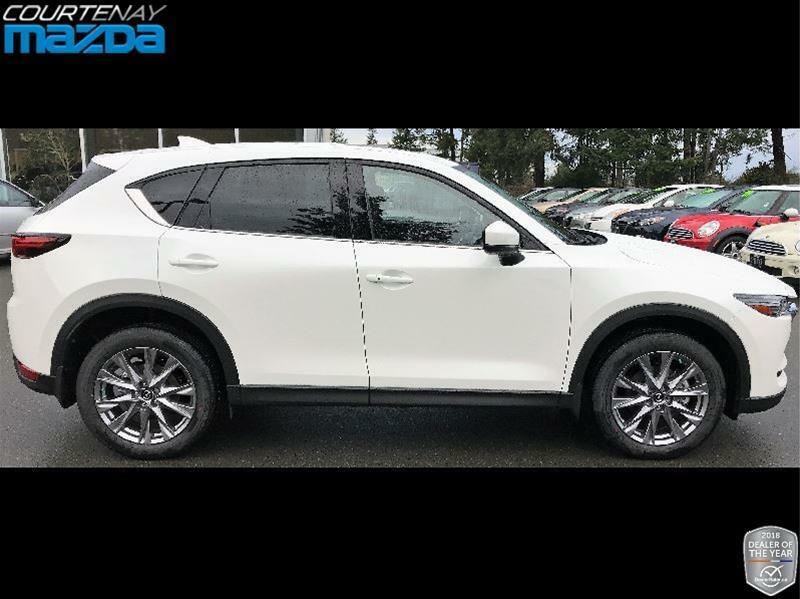 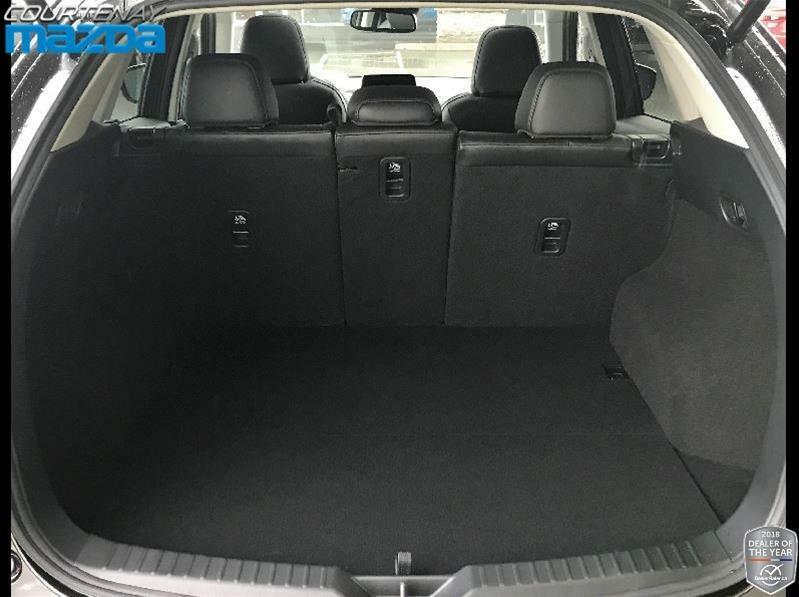 Competitors: Honda CR-V, Mitsubishi Outlander, Mitsubishi RVR, Nissan Rogue, Subaru Forester, Subaru XV Crossover, Toyota Rav4, Toyota Venza, Hyundai Santa Fe, Hyundai Tucson, Kia Sorento, Kia Sportage, Buick Envision, Chevrolet Equinox, Ford Escape, Jeep Cherokee, Jeep Compass, Jeep Patriot, Jeep Wrangler, VW Tiguan.